But I suspect a part of Sir Paul’s response was also due to his longtime love of comics. This is, after all, the music legend who wrote a song called “Magneto and Titanium Man” and projected images of both supervillians alongside the Crimson Dynamo during his 1975-76 world tours (the characters’ co-creator Stan Lee thought this was “terrific”). So it’s appropriately exciting that on the 50th anniversary of the band’s arrival on our American shores, 13th Dimension would dedicate a week to exploring stories about the Beatles in comics. 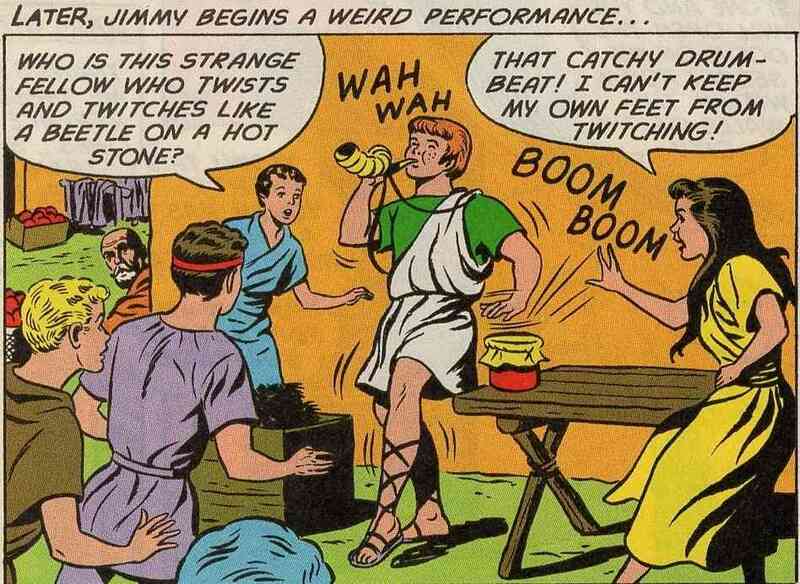 Indeed, one thing pop music and comics have had in common is our decades-long struggle to be taken seriously and viewed as art — not something to be just enjoyed in the moment, then disposed of and forgotten. 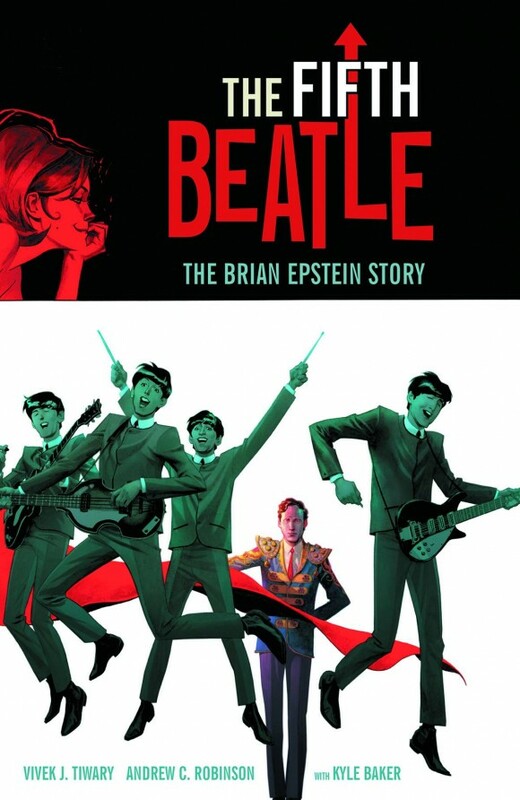 Brian Epstein worked with unrelenting passion and persistence to bend the rules of the music industry, to allow his Beatles to push the boundaries of their art. Brian’s efforts here aren’t unlike the efforts of today’s comics publishers and creators, many of whom are releasing books that can be enjoyed by a mainstream audience while still maintaining a high literary caliber. How rock and roll is that? And there’s a history at work here as well. Just as I occasionally put on John, Paul, Ringo, and George as a reminder of what popular music can do for my soul, I’ll never stop reading classic Claremont, Miller, Moore, and Gaiman to be reminded of not just what comics can do for my heart, but the artistic potential comics offers me as a writer — the special boundaries that sequential art alone can gloriously and inspiringly push. My parents introduced me to both the Beatles and comics, and I will be forever grateful to them. I dedicated “The Fifth Beatle” to my mother, whose spirit lives on in my book, her body having died from cancer when I was only twenty-three. 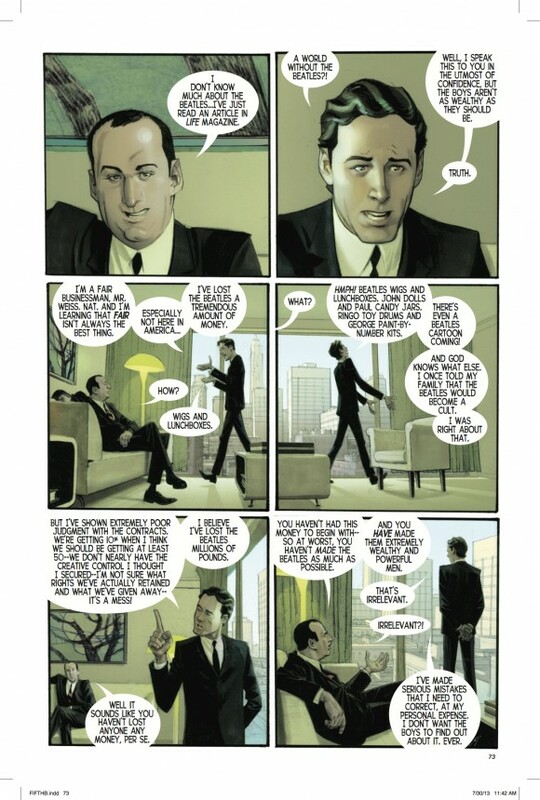 I hope that “The Fifth Beatle” and I can play some small part in championing the art of comics, in the shadow of the great part the Beatles played in championing the art of pop music. But most importantly, I hope we can do it while inspiring audiences, spreading love, and just having a damn good time. 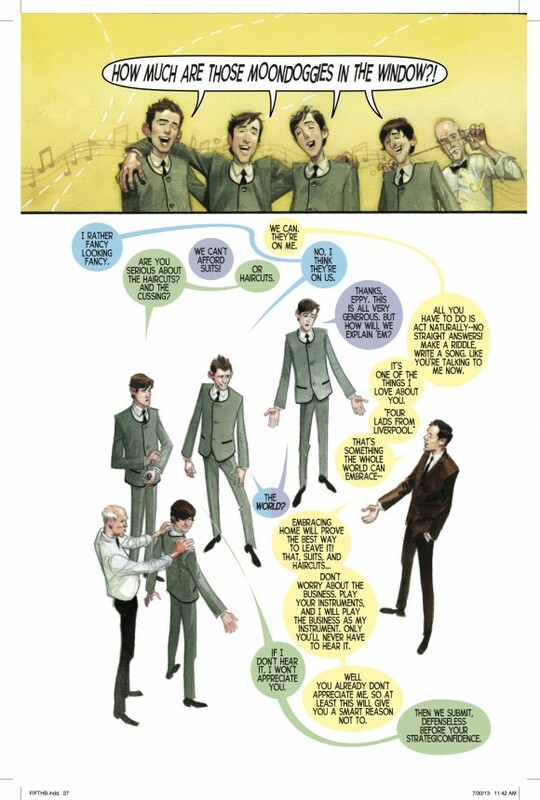 That’s what the Beatles and comics do at their very best. Leave a comment! Yeah! Yeah! Yeah!